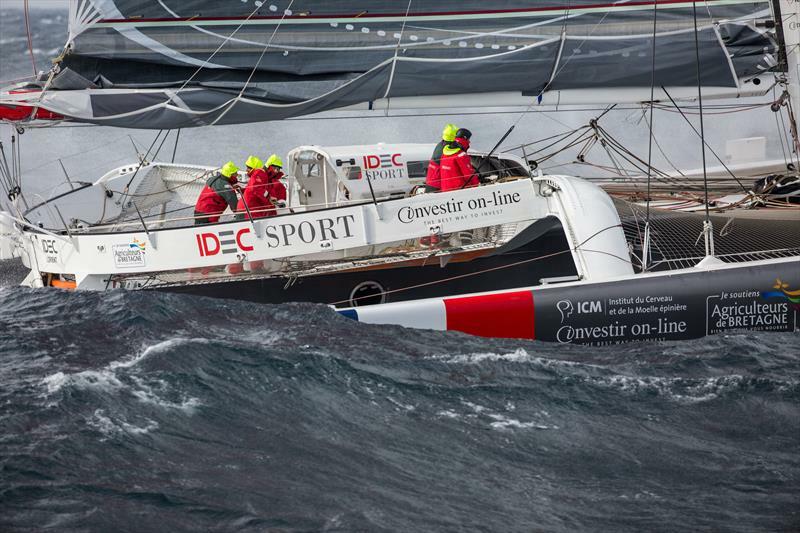 The team has made their achievement in the IDEC SPORT trimaran vessel. Francis recounts how the team felt as they neared their destination in record time. He states that it was pitch black when they could only see the Creac’h Lighthouse in front of them. However, they had the belief that it would definitely be the start of something significant for them. The winds were light at the starting line and the SW tip of Britain from where the team started helping them to move onto Brittany as the light winds converted into a northerly gust. Francis as the skipper was hoping to be able to gain the right speed to be able to cross the Bay of Biscay. The team also depended on crossing the Canaries and Portugal port areas with ideal conditions. Next stop is Dubrovnik. Of course, the team admitted that the first few hours of sailing were a struggle as the winds were light and there were periods of considerable calm. They also had to stop in order to get a big gust to come by, which would take them in the south westerly direction. The team had also put in a similar effort last year and they had come close to setting a record. This time their boat being a multi hull design, sailing was smoother and easier. The previous teams were able to smash the existing record in a time span of 45 days, in thirteen hours and 42 minutes plus or minus a few seconds in 2012. This entry was posted in Uncategorized and tagged Round the World, RTW, Sailing by admin. Bookmark the permalink.